I was hoping to get a massage during the prenatal period so I went around sourcing for one. 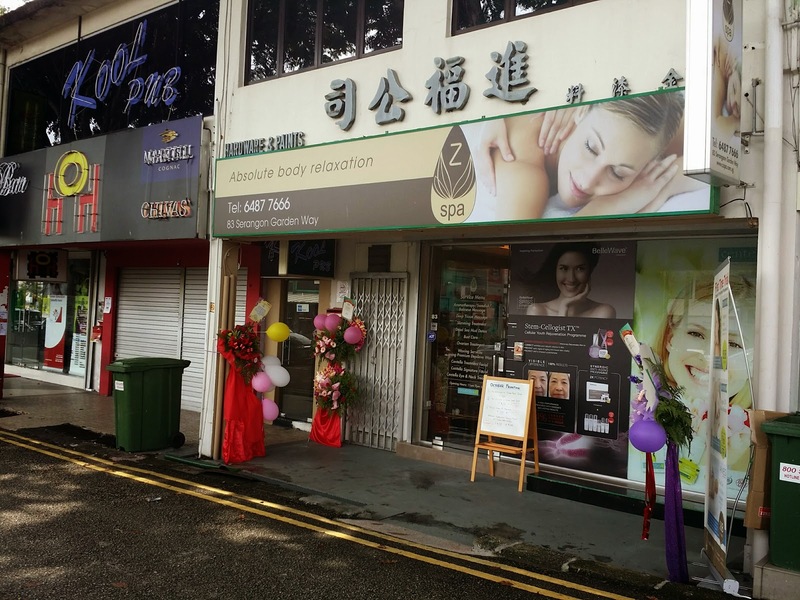 Many massage parlours refuse to accept pregnant ladies because of various reasons. Luckily the Internet is a good resource for looking up for information but there are not many reviews of such services. We booked Z spa after reading about it offering prenatal massage and there are couple rooms so that Croaky can also have a good rub. A lot of the more upmarket prenatal spas do not offer massage to the husband so that is a big big minus point. When I first made the appointment, the male counter staff was a bit impatient and kept asking me if I bought Groupon for the massage. I kept emphasising no and we are first time customers. That aside, on the day before the appointment there was no sms or call reminder which I thought it was a bit strange. However, I am someone who always kept my appointments in my good old fashioned diary and so I had no trouble remembering the date. When we arrived, we were greeted by a middle aged lady and offered longan tea. It was a small but decent setup. Two masseurs were assigned to us. All the while I was lying on my side hugging a bolster while the masseur worked on my back and limbs. The strokes were soft and reasonably good for me. But Croaky complained that there was too much pressure for him. We opted for 90 mins massage and paid $207. Croaky was hesitant to take a package because he worried we wouldn't be able to make future appointments if we did. Verdict: Good for couple massage. No extreme hard selling. Worth a try especially if you are looking for prenatal massage.